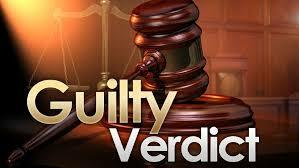 A Sacramento man was found guilty of trafficking cocaine in jury trial at U.S.District Court in Sacramento. The verdict, which was handed down on Thursday, November 15, found Benjamin Macias, 40, guilty of conspiracy to distribute cocaine, distribution of cocaine, possession with intent to distribute cocaine, and being a felon in possession of a firearm. Evidence introduced in the case shown that between 2014 and 2015, Macias supplied Sergio Ambriz, 29, of Sacramento, with cocaine. On four occasions, Ambriz sold this cocaine to an undercover agent in Sacramento and El Dorado Counties. The undercover agents intended to arrest Macias and Ambriz at a fifth transaction on June 9, 2015. Shortly before they could do so, Macias sped away from the scene at about 90 miles per hour. Agents searched Macias’s car after they apprehended him. In the glove compartment, they found a Ruger 9 mm pistol loaded with hollow-tipped bullets; they also found more than 1 pound of cocaine in the trunk. On the same day, agents searched Macias’s Sacramento home and found ammunition, a 35-round magazine, and more cocaine. Ambriz previously pleaded guilty to using a cellphone to facilitate a drug trafficking offense and was sentenced on November 4, 2016, to four years in prison. Macias is scheduled to be sentenced by U.S. District Judge Garland E. Burrell Jr. on February 8, 2018. Macias faces a maximum statutory sentence of 40 years in prison and a $5 million fine.